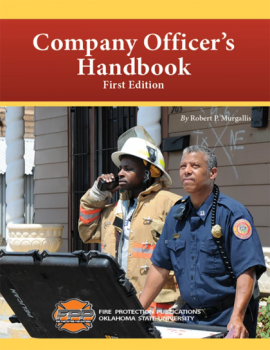 Home / Management/Leadership/Advancement / Company Officer’s Handbook, 1st Ed. Once you are promoted to the position of company officer, the knowledge and skills required are not automatically granted to you. This Company Officer’s Handbook is based on the author’s own experiences as a new company officer as well as his extensive experience supervising new company officers. 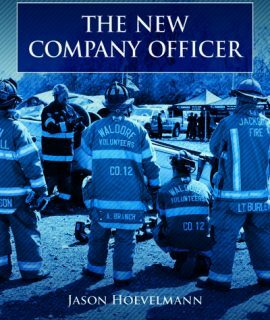 The knowledge he has assembled in this book is what he and others needed to transition into being an effective company officer. 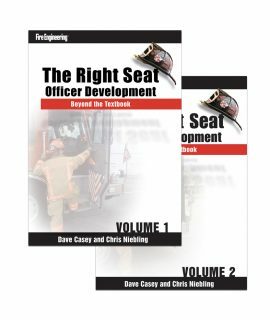 This book expands the knowledge base for entry level officers beyond emergency response. 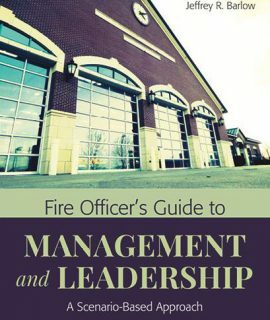 Includes leadership, decision making, communications, conflict resolution, personal accountability, critical incident stress debriefing, time management, the responsibility for firefighter safety, as well as incident command, NIMS, fire protection systems, building construction, terrorism, and wildland urban interface fire fighting. 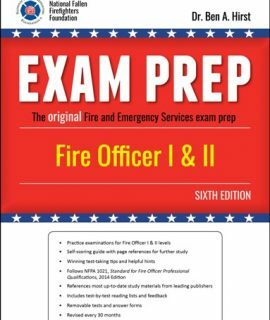 Fire Officer I and II Exam Prep, 6th Ed.